This refrigerator is making fresh clean ice cubes. Lucky! Here’s what to do when your refrigerator won’t make ice! Most modern refrigerators have an automatic ice maker. Gone are the days when we are required to use ice trays or buy bags of ice from the store every week. We’ve come to depend on our ice maker, so it’s disconcerting when we suddenly see that our ice maker won’t make ice. Thankfully, there are several common reasons you can check yourself to see why your ice maker isn’t producing ice sufficiently. The freezer temperature should be set between 0-5 degrees Fahrenheit. If the freezer is running too high, your ice maker won’t make ice. You can check your freezer temperature with a simple thermometer placed in the freezer for 5 minutes. If you discover your freezer temperature is higher than 5 degrees F, investigate a little further. First, check to make sure the condenser coils are free of debris and dirt. If they’re dirty, get a damp rag and clean them. If this doesn’t do the trick within a day or two, check the evaporator coils to see if they’re frosted over. If they have accumulated too much frost, the refrigerator defrost cycle may not be working properly. If so, call a licensed technician to service your refrigerator and get it running efficiently. A clean water filter maintains proper water flow and ensures water quality. 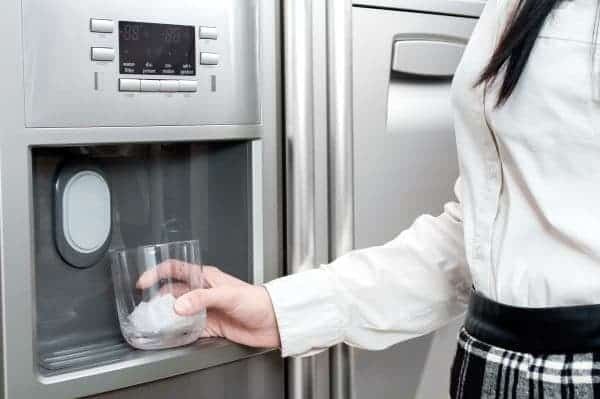 If your water filter gets clogged and does not allow sufficient water to flow to the ice dispenser, it will impact the efficiency of your ice maker. Inadequate water flow means our ice maker won’t produce ice. Water filters should be replaced at least every 6 months. Check the date on your current filter. If it’s old, replace it. The ice maker thermostat monitors the temperature inside the ice maker. If the defrost thermostat is malfunctioning, your ice maker won’t produce ice. To test the thermostat, use a multimeter to check for continuity. If the ice maker thermostat doesn’t have continuity, the thermostat is defective and needs to be replaced. It is very common for the ice maker assembly to malfunction. The individual parts to the ice maker assembly work together, and if any of the ice maker assembly components are defective and no longer work, the ice maker assembly needs to be replaced. The water inlet valve opens to allow water to flow to the ice maker and water dispenser. This valve requires a minimum of 20 psi in order to function properly. If your water pressure is to low, the valve will not open properly, restricting or eliminating the flow of water to your dispenser. If the water pressure is sufficient, use a multimeter to check if the water inlet valve has continuous power. If there is an interruption in power, replace the water inlet valve. You’ve done your homework, you’ve checked what you can, and still your ice maker won’t make ice. Schedule an appointment with a licensed technician to diagnose the problem and repair it. It will be money well invested. 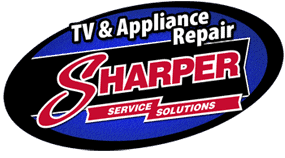 Paul's father, Jeff, founded Sharper Service Solutions in 1984. 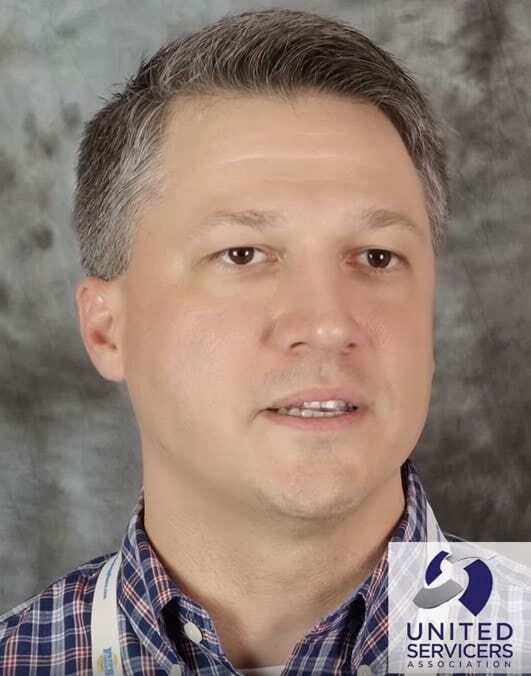 Paul and his brother joined the team many years ago and have continued to operate it as one of the premier appliance repair companies in the Pacific Northwest, serving the greater Portland and Seattle areas.